Raspberry Pi single board mini PC users might be interested in a new sensor developed especially for the awesome Raspberry Pi mini PC called the BerryIMU. The Raspberry Pi BerryIMU sensor is equipped with an accelerometer, gyroscope and magnetometer that is tailored for the Raspberry Pi. Watch the video after the jump to learn more about the BerryIMU project and see it in action. 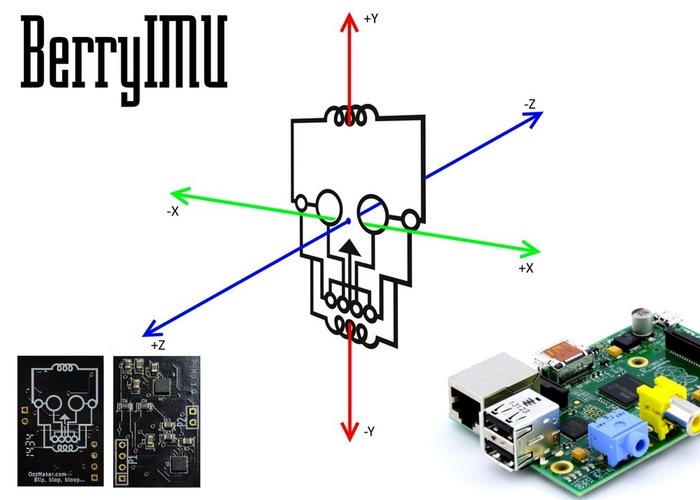 “BerryIMU is an inertial measurement unit, or IMU, that measures and reports on velocity, orientation and gravitational forces, using a combination of an accelerometer, gyroscope and a magnetometer. For more information on the new BerryIMU jump over to the Kickstarter website for details and full specifications via the link below.